aster is a Christian festival that celebrates the resurrection of Jesus Christ. The Bible says that Christ died on the cross on a day called Good Friday, which this year falls on 30 March. Then he resurrected and came back to life on Easter Sunday. This is the most important day in the Christian calendar. 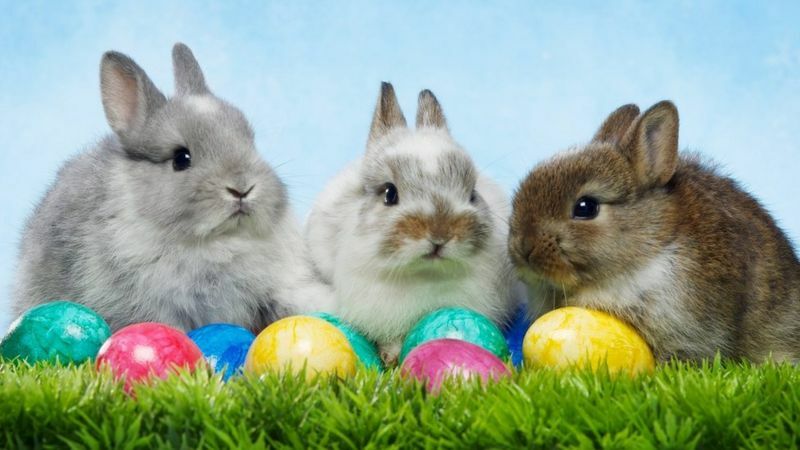 Easter is on different dates each year, between 21 March and 25 April, depending on when there’s a full moon in Spring. Many Christians will spend time at church in thought, prayer and celebration of Jesus Christ’s life, and may get together with friends and family for a special meal. There are also some more modern traditions to mark Easter which are very common – such as Easter eggs, the Easter bunny and chocolate. But where do these modern traditions come from? 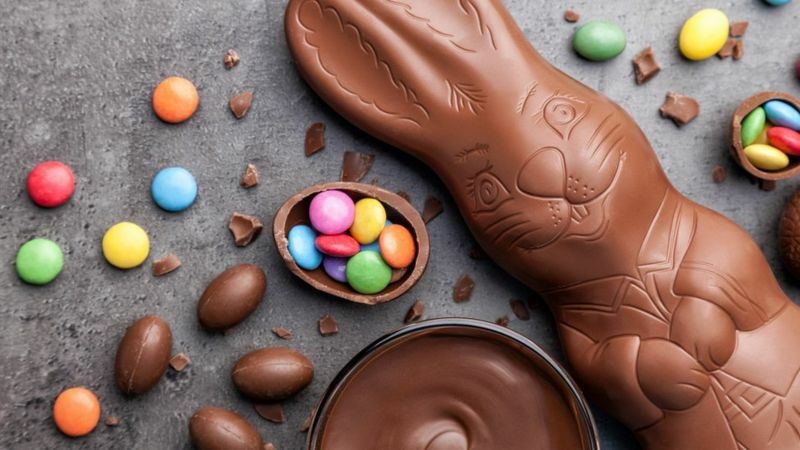 A lot of us may chomp on chocolate eggs at Easter, but originally eating eggs was not allowed by church leaders during the week leading up to Easter (known as Holy Week). So any eggs laid that week were saved and decorated to make them Holy Week eggs, that were then given to children as gifts. Victorians adapted the tradition with satin-covered cardboard eggs filled with Easter gifts. This has now developed into the tradition that many people enjoy today. What’s the Easter Bunny then? It doesn’t do all the work alone though!